Derby – Last week saw the release of 3 well-versed books edited by Jaiteg Singh Anant (Canada) at Sri Guru Singh Sabha Derby amongst sangat from all over the world. The books ‘Gadhar Lehar di Kahanee’, Gadhari Yodhay’ and ‘Gadhar di Goonj te Bhai Randhir Singh’ were released by Panth Parsidh Katha Vachak Bhai Pinderpal Singh (India), the Golden Sparrow of the Khalsa Panth, Bhai Sahib Randhir Singh’s great grandson Bhai Jujar Singh (London) and one of the UK’s leading Sikh voices, Bhai Rajinder Singh Purewal. The release of the 3 books. From left to right: S. Tanmanjit Singh Dhesi (Ex-Mayor of Gravesend), Bhai Resham Singh (Germany), Jathedar Raghbir Singh, Bhai Joga Singh, S. Gurmail Singh (Gen. Sec. 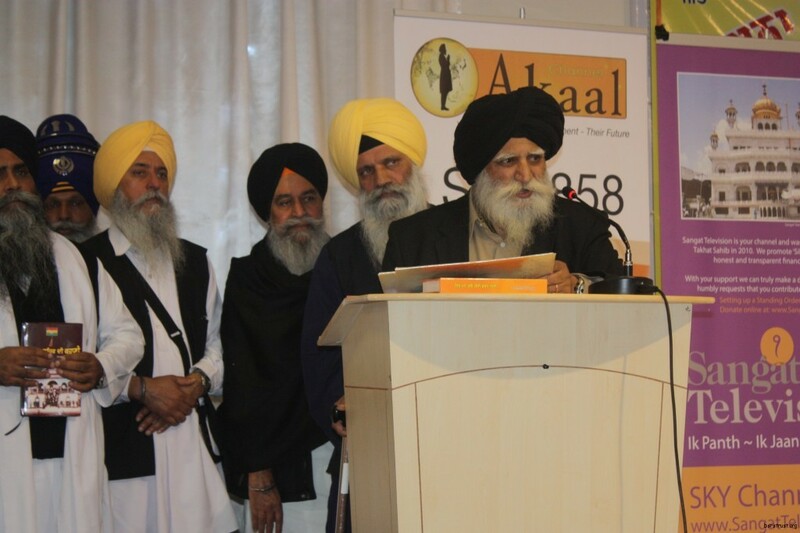 Sikh Council UK), Bhai Jujar Singh, Bhai Pinderpal Singh, Bhai Prithipal Singh, S. Jaiteg Singh Anant, Dr. Daljeet Singh Virk & Bhai Rajinder Singh Purewal. Bhai Rajinder Singh Purewal congratulated and thanked Editor Jaiteg Singh Anant for completing this momentous seva which is the result of 3 years hard work and will prove to be an important part of Punjabi and Sikh literature and history. He described that these books have detailed information with pictures of the Gadhar movement which features Bhai Sahib Randhir Singh, Baba Visakha Singh, Bhai Jwala Singh Thatheea, Baba Nidhan Singh Chuga and other ghadarites involved in this freedom struggle. This remarkable smagam was witnessed by sangat from all over the world including Germany, Italy, North America, and Australia amongst other countries. Representatives from each country were given complimentary copies of the books by Jaiteg Singh Anant. In addition, this historic memorial smagam was given special live coverage by Sangat TV and also recorded and shown by Sikh Channel and Akaal TV to satellite viewers throughout Europe and online all around the world. 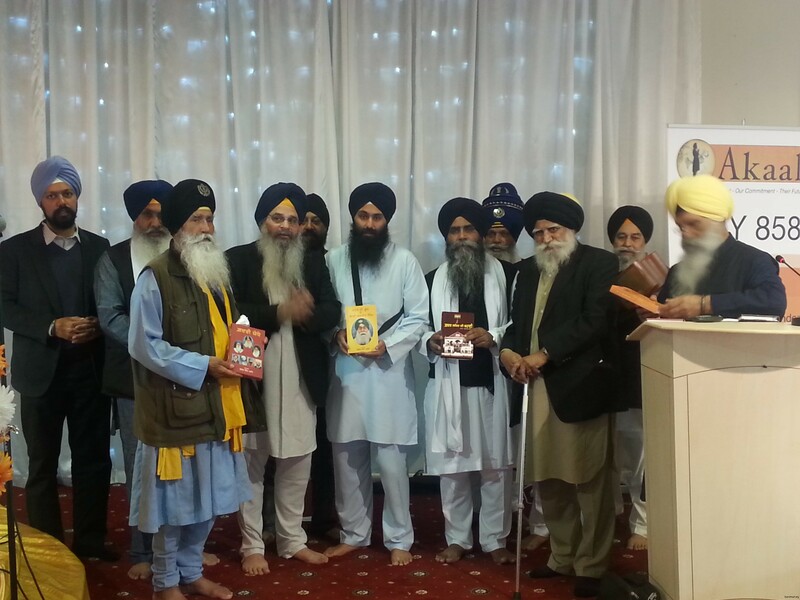 In addition to Bhai Pinderpal Singh, Bhai Jujar Singh, others who were present during the release smagam and showed their warm support included Labour party candidate Tanmanjit Singh Dhesi, renowned writer and researcher Dr. Daljeet Singh Virk, Secretary General of Sikh Council UK Gurmail Singh, Panthic sevadar Bhai Joga Singh, Bhai Harjinder Singh Mander (Punjab Times), Bhai Malkiat Singh, Jathedar Bhai Raghbir Singh (AKJ UK), Master Kulvinder Singh and Bhai Raghbir Singh Thagger (Sri Guru Singh Sabha, Derby). A significantly noteworthy part of the smagam observed Bhai Jaiteg Singh Anant donate 2 historic letters to be displayed in the National Sikh Heritage Centre & Holocaust museum. These 2 handwritten letters are those written by Bhai Sahib Bhai Randhir Singh in 1922 from Rajmundary Jail to his beloved children Bhai Balbir Singh and Bibi Daler Kaur. Not only do these have key historic importance, but by ensuring the safe keep of such items will give opportunity to our upcoming generations to learn about their forefathers, rich heritage and legacy. 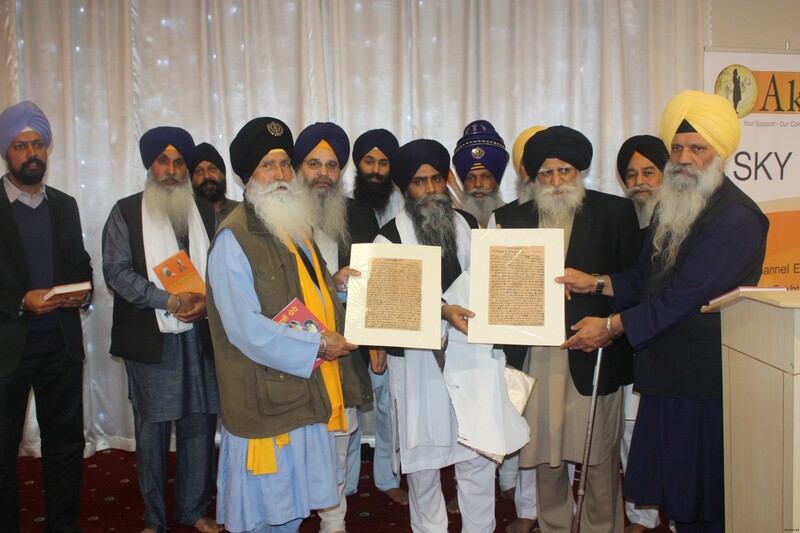 Jathedar Raghbir Singh, Bhai Pinderpal Singh, S. Jaiteg Singh Anant amongst others with Bhai Sahib Randhir Singh’s handwritten letters which are being donated to Derby Heritage Museum.